Does Rewind backup my Theme(s)? As of June, 2018, Rewind can now automatically backup and rewind your store's Stencil Theme(s). 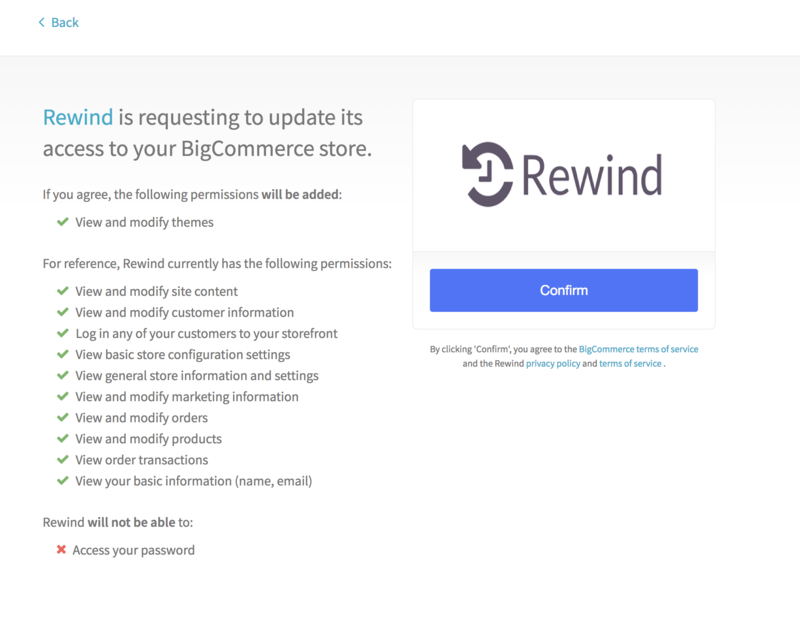 If an existing customer, you will need to provide authorization for Rewind to have the ability to view and modify your Themes. You need to do this to enable theme backups. We need permission to view Themes in order to back them up, as well as permission to modify them in order to rewind them. This can be done directly by opening up your Rewind app plugin from the Admin section of your dashboard, or by visiting our app listing and then clicking "Update".